Begin your party or dinner, Texas style! Treat your guests to a variety of Texas made jarred or pickled appetizers ranging from dip & dip mixes to hot & spicy pickles. Did you know that Texas designated the jalapeño as their state pepper in 1995? 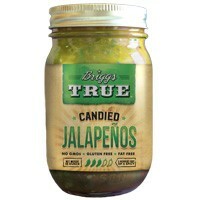 Our jalapeño products are sure to give you a Texas sized kick that will leave you coming back for more! Texas Jalapeños can be used to perk up a hot dog, a burger and even a tortilla chip! Whether you're entertaining a crowd or just making dinner for two, these appetizers are sure to please.